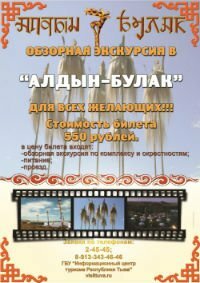 Today a concert devoted to 95th anniversary of Alexei Axionov (1909-1962), Russian musicologist, who came to Tuva in th 40-ties on te invitation of the Tuvan Government, was held in Tuva. Axionov was the first to scientifically describe the phenomenon of khoomei. His book 'Tuva Folk Music', issued in 1964 only after hid death, has become a rarity.